For about a month starting April 21st, Christian Gospel Mission will be holding a springtime flower festival. The various events held at the first festival were such a big hit with the visitors that a second flower festival is going to be held this year, with the theme, “Fragrant Flower Flower Aroma.” The events that were prepared for the previous flower festival, such as the drawing contest, writing contest, best family photo contest, and the stamp-collecting event on the cultural walking course, are still generating a positive response even now—one year later. With the motto of Pastor Jung Myeong Seok, “In this place, everything living is art,” they are holding events that are consistent with the underlining theme of the Divine Beings, human beings, and nature. 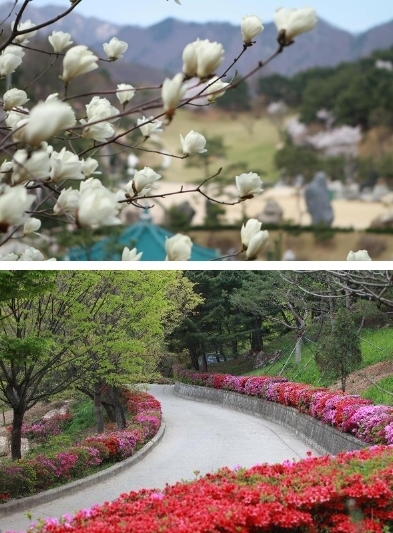 This year’s flower festival is held at the Wolmyeongdong Natural Retreat Center (www.hananim.or.kr) in Keumsan until May 20th. There will be various performing arts and sports events during which the participants can mingle together.